If we are not prepared to send, why would God call our people to go? How many people in your church have heard the term UPG? What percentage knows about Oral Cultures? The truth is if your people don’t know, they won’t feel compelled to go. A burden for the unreached won’t grow out of ignorance. Most local churches will never embark on the glorious journey of reaching the unreached because they will fail to take the first steps of research and education. Challenge #1: Take your key leadership to the next Issachar Summit. Not just pastoral staff, but also your key givers and business leaders. 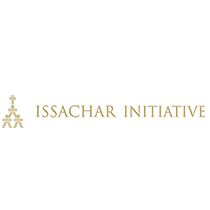 My experience at the first Issachar Summit was both educational and inspirational. Challenge #2: Most churches have a Stewardship Sunday fully devoted to educating people about tithing. Why not initiate a Global Outreach Sunday fully devoted to educating believers about finishing the task of global evangelism? Don’t just point the way, go and show the way to the unengaged. Model authentic engagement – even if it is just for a short-term trip. Go plant the flag of Christ for your church in an unreached people group. That trip will serve as a rallying point for years to come. This generation doesn’t want to follow someone who isn’t willing to go. If you’re not the kind of pastor that wants to go, then hire someone who is radical enough to go and give them a place of prominence on your leadership team. Challenge #3: Commit to take a short-term mission trip to explore an unreached people group with the hope of adopting them by the end of 2013. One of the hardest parts of going is leaving loved ones and family behind, especially if they are not that supportive to begin with. Jesus knew this, so He didn’t ask His followers to leave their families without first providing an extended one and promising a hundred more to come. You’ll remember that one of the first things that Jesus did after choosing the twelve was to reaffirm to them that they were His new extended family (Mark 3:33-35; 10:29-30). As leaders we need to foster a culture that makes missionaries feel like extended family not social misfits. We must give relational access to those who commit to go for the Gospel. Sometimes all it takes to keep a missionary going is the knowledge that there is someone who loves them, believes in them, and will be there for them when the going gets tough. Challenge #4: Open your home to missionaries when they are visiting on furlough, especially if you are the senior pastor. (After all, hospitality is supposed to be one of our qualifications – 1 Tim 3:2). As men and women of Issachar it is time for us to move beyond conversation to implementation. It’s not enough to simply inspire people to want to reach the unreached. We must help make it possible for them to actually go there. Today, if someone in your church said, “Yes, I will go to the unreached” are you prepared to facilitate his or her willingness? What if ten people responded? It’s been my experience that God tends to provide in direct proportion to our preparedness to receive it. Are you cultivating opportunities today for your people to go out next year? Have you set aside funds in your budget that will prime the pump of faith in your people’s hearts? Are you working on creating pathways that will provide the next steps that they need to follow? Challenge #5: Rethink your ten-year budgetary goals by asking, “How much does God want us to give towards reaching the unreached over the next decade?” And then work with your leadership, congregation and board to make that happen.